Distributor / Channel Partner of a wide range of products which include bathroom cleaner, toilet bowl cleaner, restroom cleaner and green seal restroom cleaner. 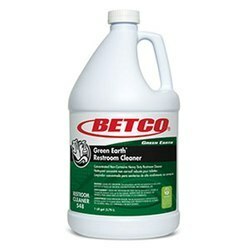 Sure Bet cleans, and deodorizes in one labor-saving step. 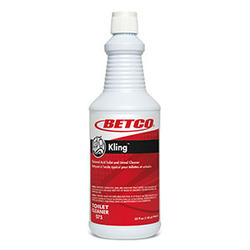 This formulation penetrates and dissolves soap scum, ground in dirt and grime, mineral deposits, rust, lime soap build up, hard water satins, and kills household germs. Cleans and shines without abrasive scouring action. Deodorizes too, leaving your bathroom smelling fresh. 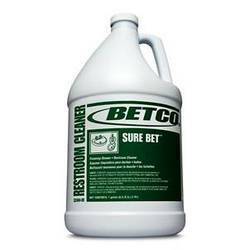 This product is a heavy duty, cleaner that is chemically designed to remove heavy soap scum, body and tanning oils, mineral deposits and other soils found in all areas of the restroom. The formulation contains organic acids, powerful cleaning agents, scale-inhibiting agents and soil-suspending ingredients. It produces a rich, clinging foam that allows for maximum contact time on vertical surfaces. Our offered Green Seal Restroom Cleaner is formulated to remove heavy soap scum, body and tanning oils, mineral deposits and other soils found in all areas of the restroom. 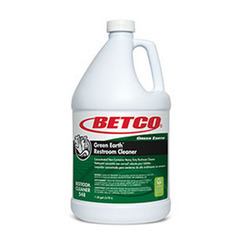 This contains organic acids, powerful cleaning agents, scale-inhibiting agents and soil-suspending ingredients. Foaming action allows for longer contact time and maximum penetration of tough soils.